Today I have a ton of awesomeness for you all!! 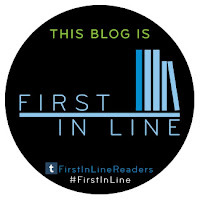 I have my review of Jackaby and a super fun guest post from debut author Will Ritter! Plus, there is an epic giveaway for THREE signed finished copies of the book! Jackaby was a breath of fresh air! I loved this witty, fun, and mysterious book! I really enjoyed the combination of laugh out loud dialogue and an old-fashioned paranormal detective story. Set in 1892 New Fiddleham, New England, Ritter gives us a perfect "picture" of this time period, as told through Abigail's narrative imagery. I truly felt as though I too were walking the streets of New Fiddleham and investigating the crimes right along with Abigail and Jackaby! Will Ritter's characters practically jump off of the pages. They felt soo real! Jackaby was hilarious. He has this really unique personality that you have to read to understand. He's super smart, but also extremely funny without trying to be funny! He has a very unique ability to literally see through the glamour of any supernatural creature. He is also a bit kooky and awkward, which makes him THAT much more likeable. Abigail Rook applies for a job as Jackaby's assistant. He takes her on for a trial period. She is brave, ahead of her time, and desperate for adventure. I loved the banter between "Miss Rook" and Jackaby. This was one of my favorite aspects of the story. They make a great team, and have a funny and sweet detective-apprentice type relationship. There is one young detective named Charlie, whom Abigail develops a crush on. That isn't a huge part of the plot, but I could see it being further developed in a sequel(if there is one). The mystery is what drives the plot, and I found myself guessing at different villains while reading. There are some gruesome crime scenes, which Abigail never shies away from! She took everything that came at her with strength and a cool head. I really loved her as a character. The book is written in first person, as sort of a diary of Abigail's experiences as Jackaby's assistant. I loved this perspective and felt that it was the perfect choice for this book! Overall, Jackaby was a fun and witty paranormal mystery that had me laughing, speculating, and enjoying every moment! I would recommend this book to anyone who enjoys a good detective story set in the late 1800's, with a good bit of paranormal mystery, a ton of cheeky humor, and awesome characters! I really, really hope that Will takes us back to the world and characters of Jackaby! Though if not, I will still be eagerly anticipating whatever it is he decides to write next! 1) I still have a five-inch scar on my leg from a childhood sports injury (and by “sports” I mean a non-competitive game of Frisbee with my sister). 2) Early one Christmas Morning, I awoke to find an escaped fugitive hiding out in my backyard. To this day I faintly regret not giving him a fresh cookie before the police cruisers arrived to take him away. 3) I illustrate comics as a hobby, and many of my book notes include detailed sketches. 4) The only class I ever failed while at university was Juggling. I did, however, earn full marks in Trampoline. 6) I once put my foot through a wall in my high school trying to mimic a Donald O’Connor scene in Singing in the Rain. 7) On our wedding day, my bride’s hair was a beautiful deep purple hue, and mine was a dark blue. The flower arrangements were carefully selected to match. 8) I once broke my arm and lost two front teeth playing with Ninja Turtle action figures. It turns out I am not a ninja. 9) I do not own even a single pair of blue jeans. 10) I am the staff advisor for the My Little Pony club at the high school where I teach. 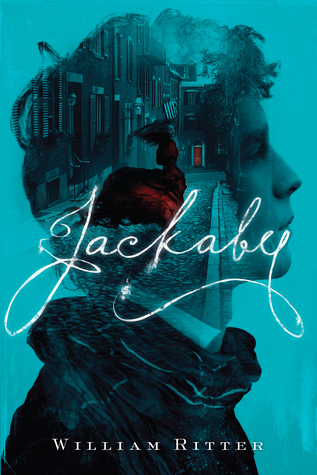 William Ritter began writing Jackaby in the middle of the night when his son was still an infant. After getting up to care for him, Will would lie awake, his mind creating rich worlds and fantasies—such as the one in New Fiddleham. Will lives and teaches in Springfield, Oregon. Jackaby is his first novel. LOVE the frisbee injury!! a completely cool-nerdy kind of sport injury!! LOVE the concept for this book!! I love that your review says the characters are spectacular and that it has awesome banter, I've recently decided that I think characters are one of the main things, if not THE main thing that make me love a book. And about the author, what a cool teacher he must be, I'm sure his students love him! I wish I worked at the same school as he does. Sounds like you've had a fun and variety filled life so far :) Thanks for sharing and congrats on the new release! Love the fact that this is a paranormal historical yarn. Not very often I can find one of those. It seems that there may be some humor too. I think Jacoby and his assistant will make a great partnership for this book (and I haven't even read it yet... LOL). I know the author must have a great sense of humor since they matched the flowers to their hair, awesome. Thank you for bringing this book to my attention. I already have this book on my wish list and look forward to reading it. Your review just reinforced my desire to read it. re: #8: I once fell down the stairs while playing with a Barbie. Luckily I didn't break anything!